On my continuing saga of re-reading King's books in chronological order. I actually wasn't looking forward to this much as it was the first one that I had absolutely no recollection of the story. I couldn't bring to mind one thing about it though I do certainly remember reading it and have a faint remembrance of enjoying it. 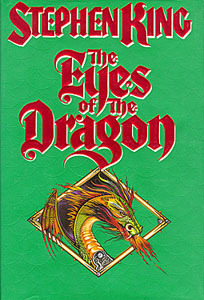 King really brought something new to his readers with "The Eyes of the Dragon" as this is his first book not for adults. 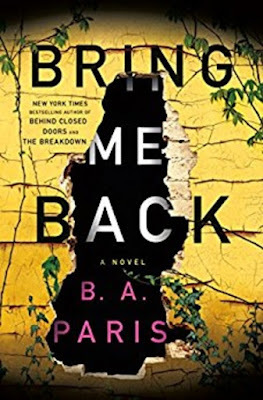 In the '80s there really wasn't such thing as Young Adult books, but by today's standards, this would be classified as YA. Most of the book is suitable for children but the beginning is somewhat bawdy, making it hard for me to recommend for younger than teens. This is not a traditional fantasy, but more of a fairytale with Kings, princes and a bad magician. King writes in the all knowing voice of "the storyteller" often speaking to the reader telling them to make up their own mind on certain matters. It is a good story, well-written (with touches of Tolkien in style) and will delight the fairytale fan. But it is not like his other works; it starts off dramatically then turns into a slow-paced ponderous tale, making the reader think about the nature of man. Only one character is truly evil, many of the others are what I usually call "grey". Slower than one expects from King but quite a good tale. As to connections with his other books, it connects to "The Stand" via Flagg and is part of "The Dark Tower" universe having the magician Flagg and a King Roland. After having read the book I'm a tad annoyed, well more than a tad, but I've calmed down now :-) The list I'm following put this book in the wrong place and I shouldn't have read it at this point, it's really still several books down the line should be 1987 instead of 1984 where it was on my master list. But it's re-read now, so on we go. Talisman co-authored with Peter Straub is next.